Add a little nutty flavor to your celebrations. 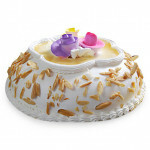 Get 1 kg of Italian Almond Cake for those who matter for you and gift them health wrapped in heath on their special day. 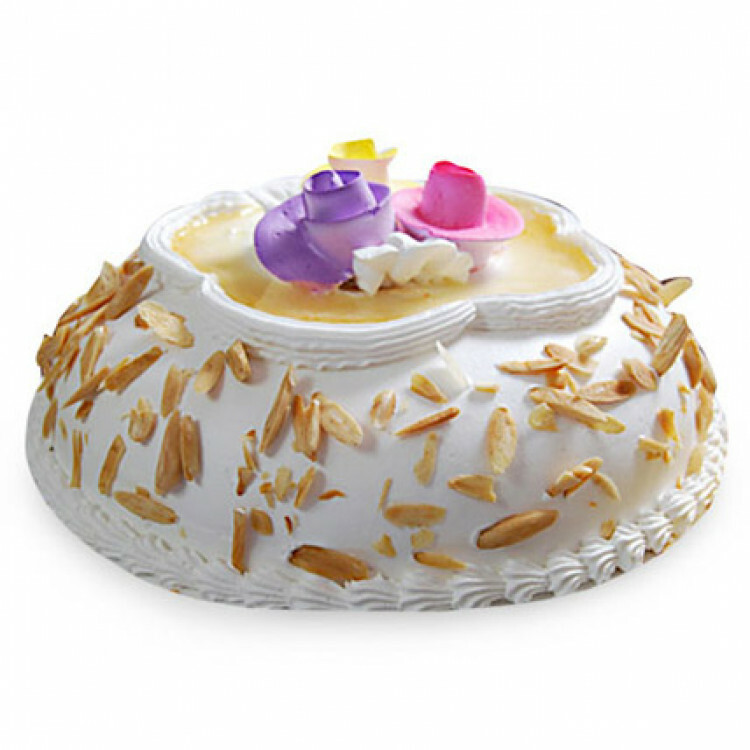 Loaded with the goodness of almonds, the cake is beautifully decorated with beautiful flowers on the top and multiple layers of almond flavoured fresh cream and vanilla sponge cake. To add a little difference, the side of the cake is decorated with chopped almonds, making it healthy and delicious at the same time.